The Honda Civic maintenance schedule helps keep your reliable sedan in exceptional condition for as long as you own it. Are you due for a service visit? If one of the Honda Civic maintenance codes is shining on your dashboard, it means that your vehicle needs some maintenance from a dealership. 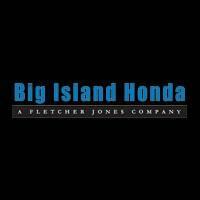 Learn more about the recommended Honda Civic services below, then schedule an appointment at Big Island Honda in Hilo & Kona’s service center near Waikoloa and Captain Cook! What is the Honda Civic Maintenance Schedule? If your Civic is due for service, schedule an appointment at our service center in Hilo! Our certified, highly-trained technicians know your Honda vehicle inside and out, so you can have peace of mind knowing you are in good hands.